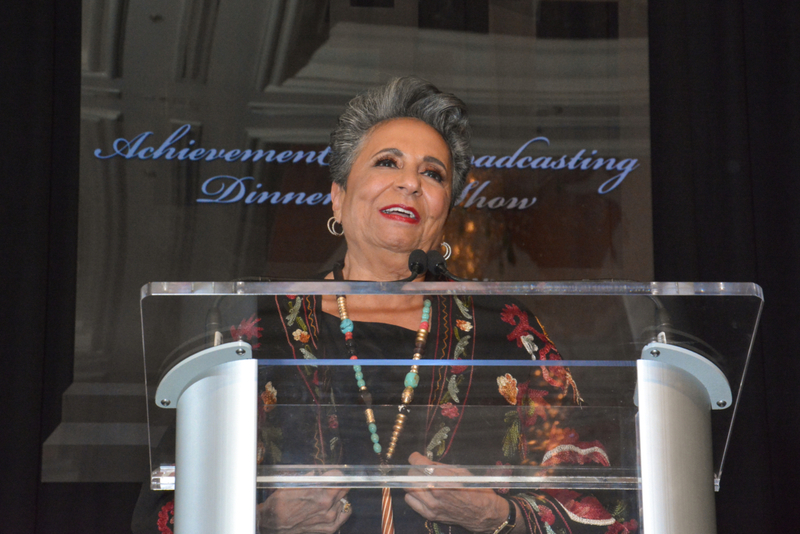 On February 6, the stars shone brightly over the Taglyan Complex in Hollywood where the 10th Annual AAFCA Awards, presented by the African American Film Critics Association, handed out trophies to its winners and special honorees. 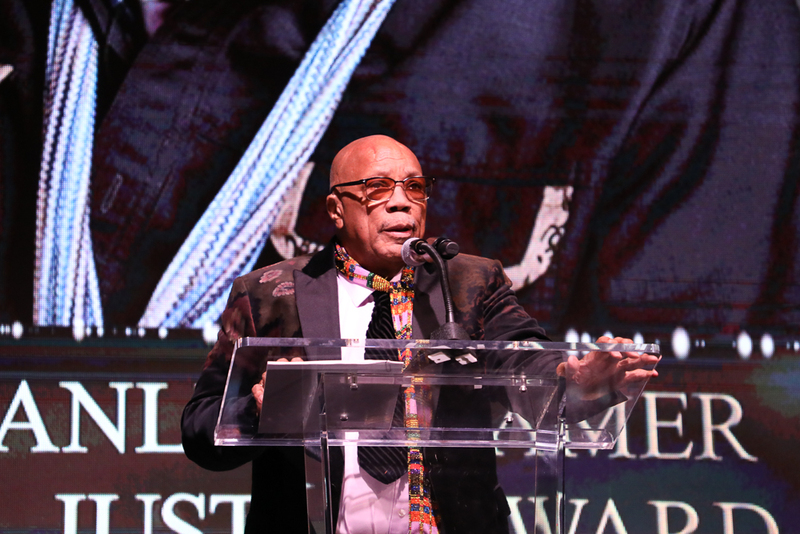 Music icon Quincy Jones received the inaugural AAFCA Stanley Kramer Award presented to him by Karen Kramer, wife of the late Stanley Kramer. 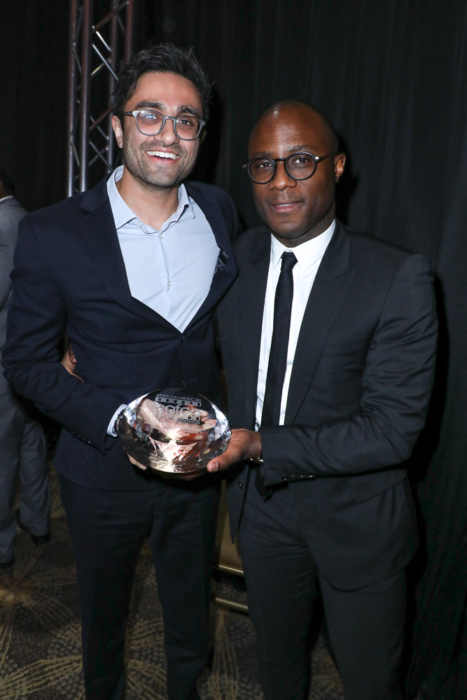 Prolific producer Jason Blum (BlacKkKlansman, Get Out) received the Cinema Vanguard award and Aneesh Chaganty received the Breakthrough Film Award for his groundbreaking film Searching. 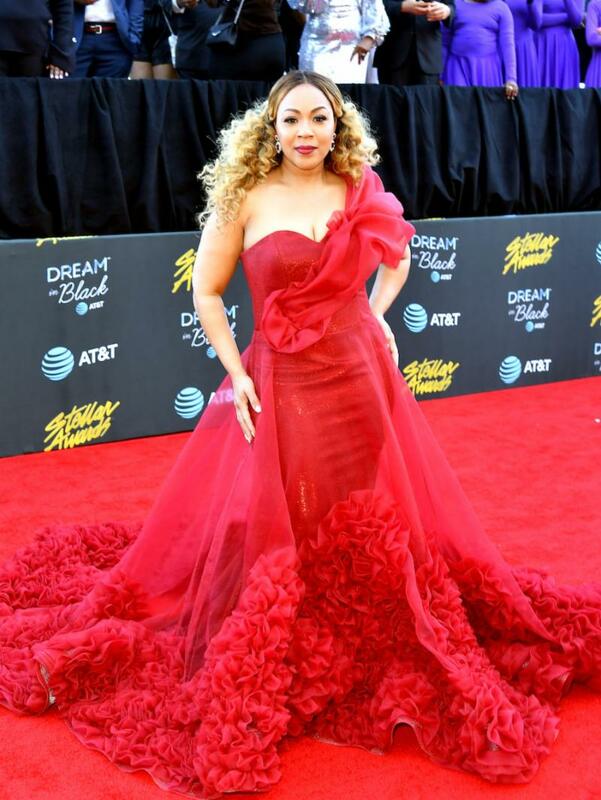 Tichina Arnold hosted the evening, with AAFCA co-founders Gil Robertson and Shawn Edwards overseeing the evening’s festivities. 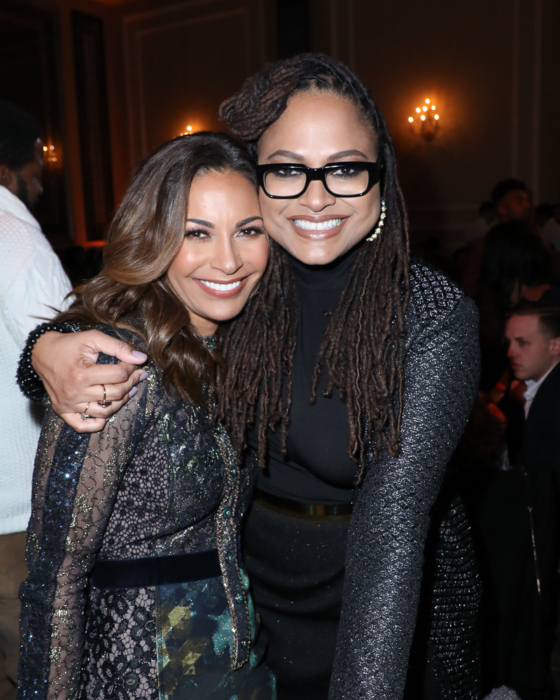 Salli Richardson-Whitfield and Ava DuVernay at the 10th Annual AAFCA Awards. Awards were handed out to previously announced winners including Ryan Coogler (Best Film, Best Director for Black Panther, Barry Jenkins (Best Independent Film for If Beale Street Could Talk), Regina Hall (Best Actress winner for Support The Girls), Amandla Stenberg (Best Breakthrough Performance for The Hate U Give), John David Washington (Best Actor for BlacKkKlansman), Rashida Jones and Alan Hicks (Best Documentary for Quincy) and several others. 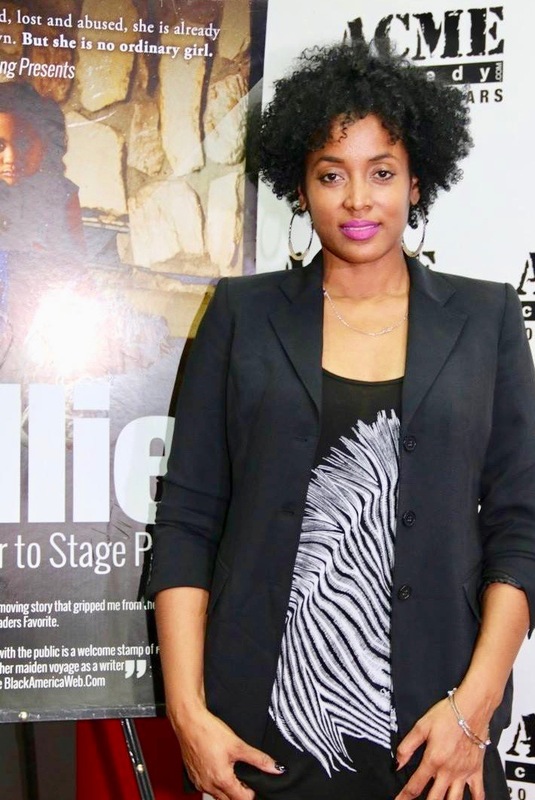 Presenters and guests included Lakeith Stanfield, Franklin Leonard, Trevante Rhodes, Storm Reid, Salli Richardson-Whitfield, Colman Domingo, Wendy Raquel Robinson, Toni Trucks, the cast of OWN’s “Queen Sugar,” and many more. Aneesh Chaganty (dir. Searching) and Barry Jenkins (dir. If Beale Street Could Talk) attend the 10th Annual African American Film Critics Association Awards at Taglyan Complex on February 06, 2019 in Los Angeles, California. 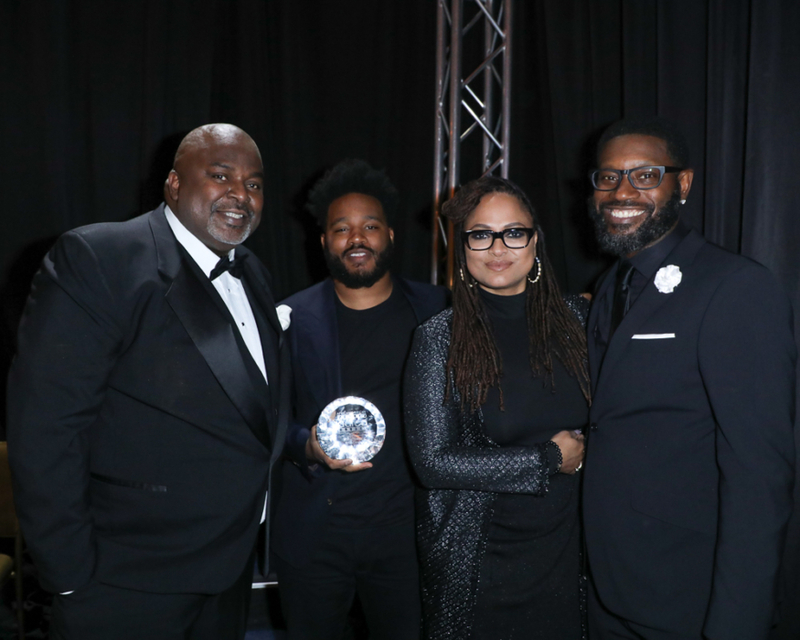 AAFCA co-founder and president Gil Robertson (L), “Black Panther” director Ryan Coogler, filmmaker Ava DuVernay, AAFCA co-founder Shawn Edwards (R) backstage at the 10th Annual AAFCA Awards. 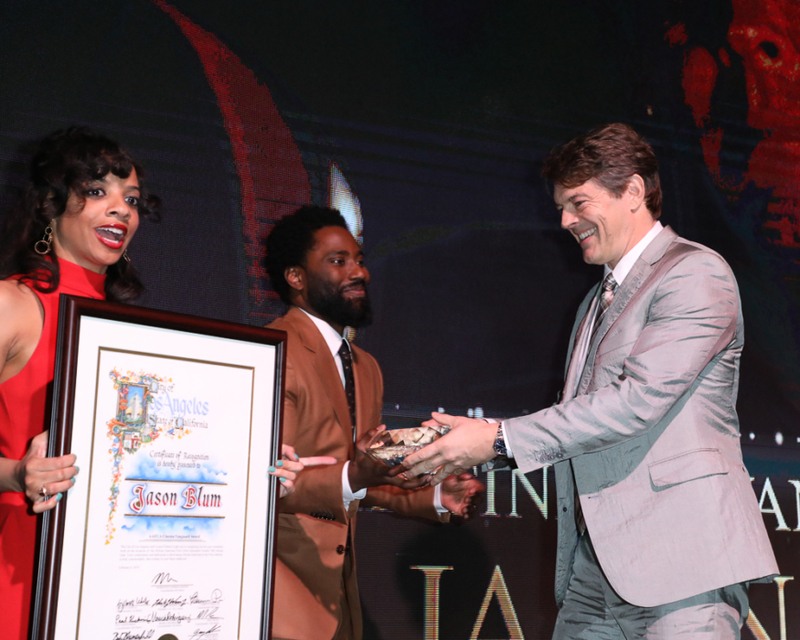 Cinema Vanguard award recipient Jason Blum accepting his honor from BlacKkKlansman actor John David Washington at the 10th Annual AAFCA Awards. 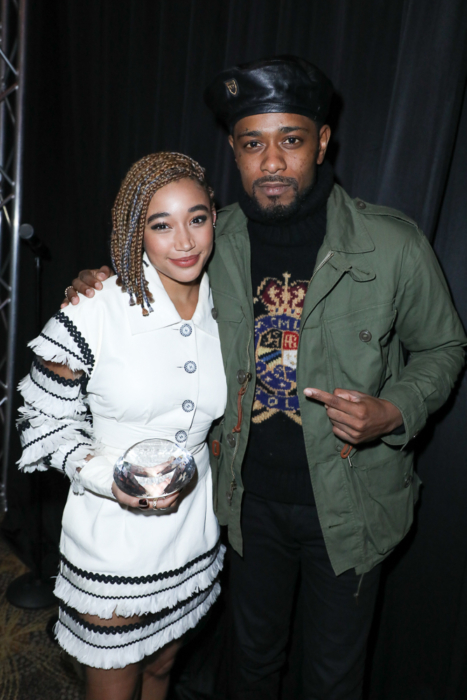 Amandla Stenberg and Lakeith Stanfield at the 10th Annual AAFCA Awards. Best Actress winner Regina Hall with Best Documentary winner Rashida Jones at the 10th Annual AAFCA Awards.